Just picked this up at my b&m. Also this is my first post & first review. Shove some old well worn leather bridles into a wet cardboard box. Let said box sit in basement overnight, stand over the box and deeply inhale whilst chewing on a slightly toasted walnut. That is the closest flavor description I can come up with. 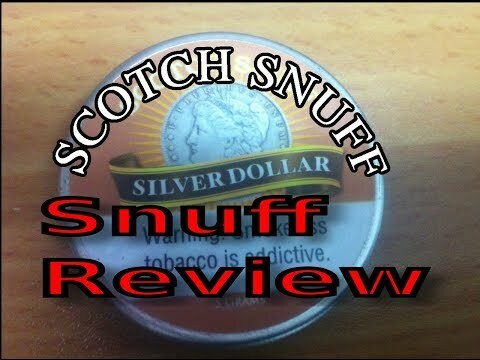 I have never sampled a scotch snuff before so I wouldn't know how it stacks up against others. I find it is pleasant enough, much better than the natural which to me has the aroma of rabbit food pellets. Sounds strangely nice. I didn't know this was in existence, and I'm putting this on my next order. Thanks for the review! Yeah man, I couldn't find a review for it anywhere. So I jumped at the opportunity. Silver Dollar Scotch is great. I really wish a this and a few other SD snuffs were available in bulk. The SD Scotch is similar to USA Scotches but it has its own thing going on. That does sound appealing, I'll have to tack one onto my next order as well. This review does make SD Scotch sound somewhat appealing... Though similar reviews resulted in my purchase of SD Cola, which as far as I can tell is simply powdered soil. I do like the Apricot, but other than that and the Raspberry, SD has disappointed me. IMGO, too many SD snuffs have menthol that shouldn't, and the snuff is too fine to have such a negligible nicotine content. I'm glad it has its fans, but it's not a brand I care much for overall. I'll have to check out the scotch. A store in the big city down the hill carries Silver Dollar snuffs. They do have scotch. Silver dollar is what I started on as it was the only brand I knew of locally. I haven't tried all the smoke shops in Phoenix valley, that would take a long time and in not vested in that. Never had any except for every American one under the sun. MumFred, nice review, I think I get what you were trying to say. Silver Dollar is a drier American style snuff and sun dried hay with hints of leather is how I would describe the aroma. 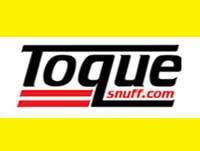 ToqueUSA is a much more moist style snuff and may be more to Israeli taste. What do you think Yisraeldov? 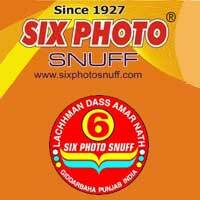 Most Israelies like heavily scented or medicated snuffs. I think the Toque USA that I tried so far they like. I'll try to get back to you on it as I start passing the tins around. But the bigest hits are No 99 and Wilson Dynamite.